"I am writing to say "thank you" for the superb job you have made of our new gutters, fascias and soffits. 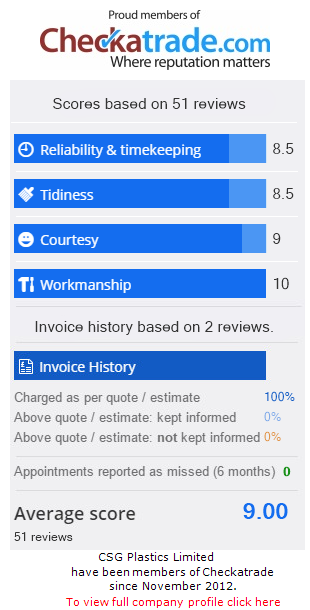 It really has made such a difference to the house and we wanted to express how impressed we have been with the quality of your workmanship and especially with you and your team. We know you encountered several problems when you removed the old fascias and soffits but you went that extra mile and rectified each one (not something a larger company would have spent the time doing, we're sure of that). We are delighted with the finished job and we would certainly recommend you to others."